The Alexandrian scientist Claudius Ptolemy mentioned Aberdeen (which he called 'Devonia,' from its River Dee) in about 146 BC. He said Aberdeen was inhabited by a people named the Taezalians. This week I visited their descendants. The Aberdeen University Department of Classics, founded in 1495, was abolished in 1989, just before its 500th anniversary. But enthusiasm for ancient Greece remains in The Granite City. This was proved by the many members of Aberdeen Scottish Hellenic Society who turned out last Tuesday, despite their first winter snowfall, to hear me lecture on Ancient Greek Minds and The Sea. The Aberdonians have always liked Greece. In 1905 the new central court hall of the public Art Gallery was opened to display casts of ancient statues. Its inner walls were (and remain) adorned by a splendid reproduction of the Parthenon frieze, around which the building was designed. 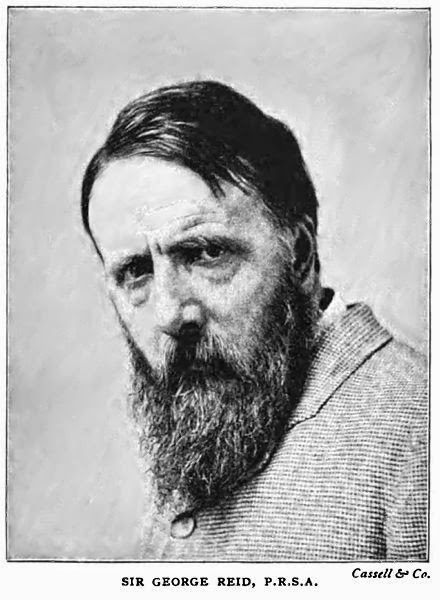 The frieze was paid for by a local philanthropist, Sir George Reid. 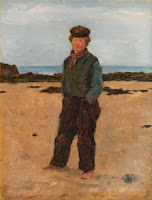 He had made his fortune by his paintings, despite being born poor and receiving little formal education. An intellectual Leveller, he wanted everyone in Aberdeen to have access to classical sculpture. The new court was opened at a magnificent reception in April 1905. A special train arrived from Euston containing 62 guests. Among them was the writer Thomas Hardy, who, unable to attend university, had studied Greek and mythology as an apprentice stonemason. He was delighted to receive from Aberdeen University, at last, an honorary degree. But Aberdeen sends out conflicting messages. In the Maritime Museum, I was appalled to learn from a display that, in 1961, 39% of Aberdonians still had no access to a household toilet. 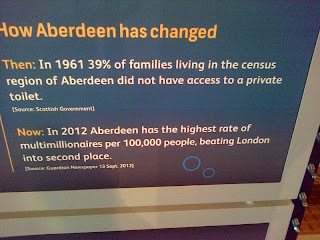 The display is intended to prove how much progress has been made, since it is paired with the news that there are now more multimillionaires in Aberdeen per head of population even than in London (it must be the oil). Lies & Damned Statistics. 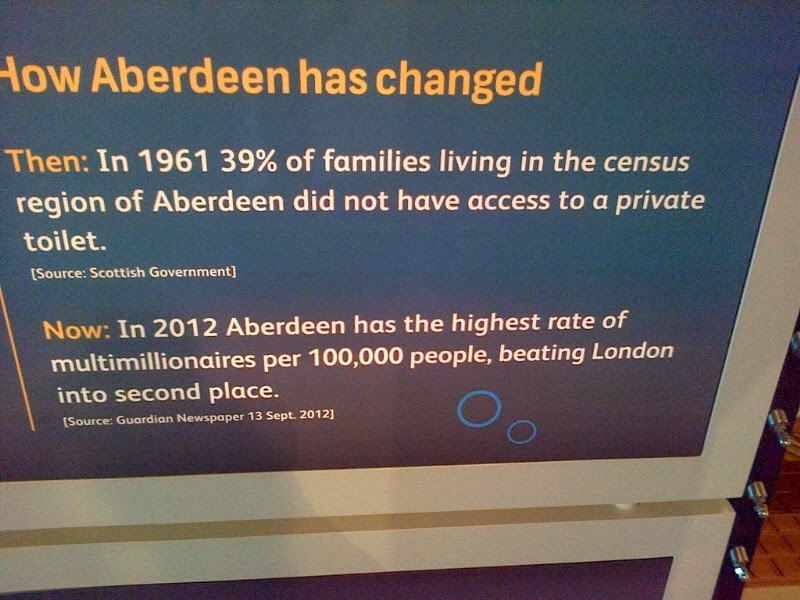 There are more Poor in Aberdeen than in 1905. Struck by these facts, by the homeless on the streets, and endless 'Pound Stores' and charity shops, I checked out the poverty statistics. The official child poverty rate in Aberdeen is today a disgraceful 23%. In 1905-6 fewer children were being raised in acute poverty--18%. I don’t regard this as progress, notwithstanding the oil tycoons among the modern Taezalians. I don’t even like to speculate what the Victorian philanthropist George Reid, or Thomas Hardy, would have made of the widening gap between the rich and poor of Aberdeen in the 21st century. Oh no I missed your talk! That's really annoying. Your comments on Aberdeen are accurate. It is a place of tremendous wealth and affluence, but also grinding poverty. If you had taken a trip out Royal Deeside the mansion houses are quite extraordinary. 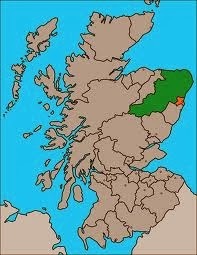 Also mentionable though with regards to Classics and the Aberdeen/ the wider Grampian region is, of course, Calgacus, 'that speech' and the battle of Mons Graupius. There is also a vestige of Aberdeen University's proud Classical history: there is a Classical Studies reading group, a Classics section in the library, the teaching of Latin and (koine) Greek to undergraduates, classes on Classical philosophy and one dedicated Classicist post in the history faculty.In the Divinity department there are also a few people with a Classical background. or those who have an interest in Classical history- including myself. Really sorry to have missed your talk! I missed Mary Beard's one up here a few years ago too.